Ierapetra Crete stand out because of the highest average of sunny days and the highest temperatures in Crete and Greece. 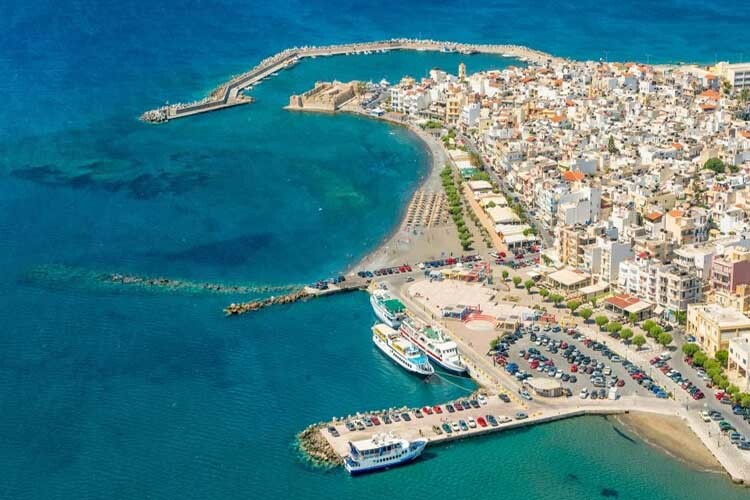 Ierapetra Crete is the southest town in Europe and it is one of the most productive regions of Greece. Ierapetra city is an ideal region for your holidays. Stroll in town and somewhere you will find a place to sit for lunch or an evening drink by the sea. In Ierapetra Crete, there also are many beautifull places for you to discover..
holidays for couples and young people who want lovely beaches and excursion opportunities. families. Ierapetra city can cover all your needs. everyone who want to enjoy the beauty and explore the south side of Crete. In Ierapetra Crete you will find plenty of hotels which can cover all your needs for accommodation. If you would like to make a trip in Ierapetra, you can use our online booking services for your accommodation. Register in newsletter of our page and you are going to have the opportunity to get informed for every offer for travel for places in Greece and the whole world. Book now your airtickets for your flight to Ierapetra Crete, or your ferry tickets for the date you are planning to make your journey. There are a number of exciting things to do in Ierapetra Crete. From visiting historical locations to cultural attractions. Discover new places but do not miss out on these amazing sights at Ierapetra. Book your activities to do in Ierapetra and nearby areas. Best things in Ierapetra includes top attractions to visit such as historical monuments, natural attractions, adventurous and entertainment activities to do, places to eat and drink.